Like most of us, you’ve probably made countless fried potatoes (french fries) over the years, but if you’ve ever eaten them in a Greek home, you’ll find they are crispy and delightful. Here's the secret, whether you use a deep fryer or frying pan. You can make , too. 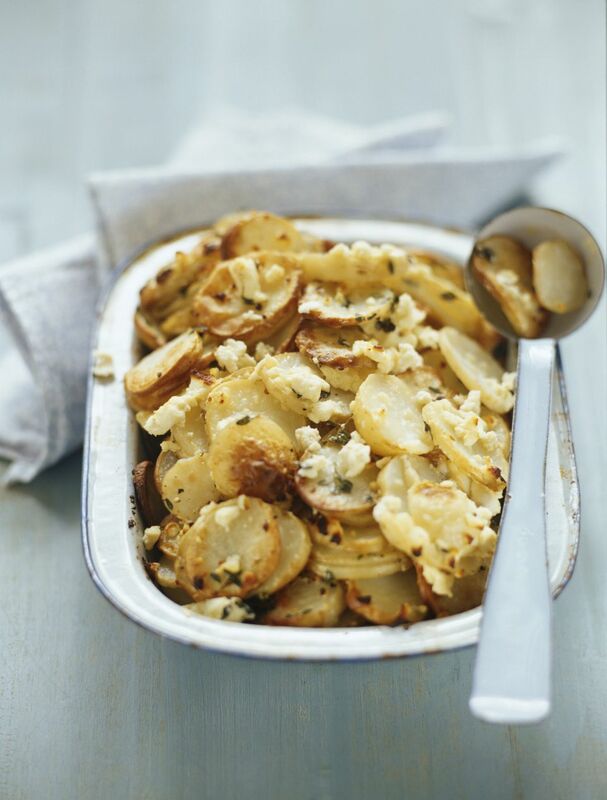 Greeks enjoy fried potatoes as a meze, side dish, and as a main dish for a light meal. In Greek, the dish is πατάτες τηγανητές, pronounced pah-TAH-tess tee-ghah-nee-TESS. Peel the potatoes and slice into thin rounds, slices, or smaller pieces, according to preference. Soak in cold water for 15-30 minutes, rinse well, and pat dry. Bring to 355F (180C), lower the basket and fry for 7 minutes. Raise the basket and allow oil to come to full heat again. Lower the basket and cook for 5 minutes more. Lift the basket and let drip for two minutes. Serve hot. In a deep frying pan, heat 1 to 1 1/2 inches of oil over high heat before adding potatoes. Fry 4-5 minutes uncovered, stirring occasionally so they don't stick. Cover the pan and let cook until golden brown. Remove with a slotted spoon, drain in a strainer or colander and serve. About draining: Many Greeks do not drain the potatoes on absorbent paper towels, however, this is a matter of preference. If you do drain them, do so for just long enough to get rid of the majority of the excess oil.